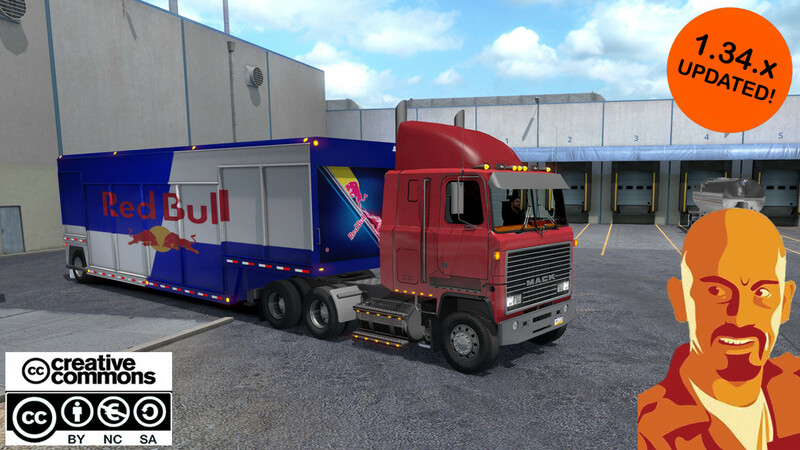 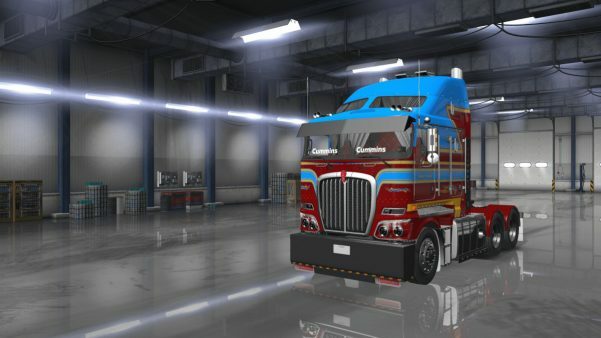 Truck updated to ATS 1.34.x game version. Few corrections in 3D model. 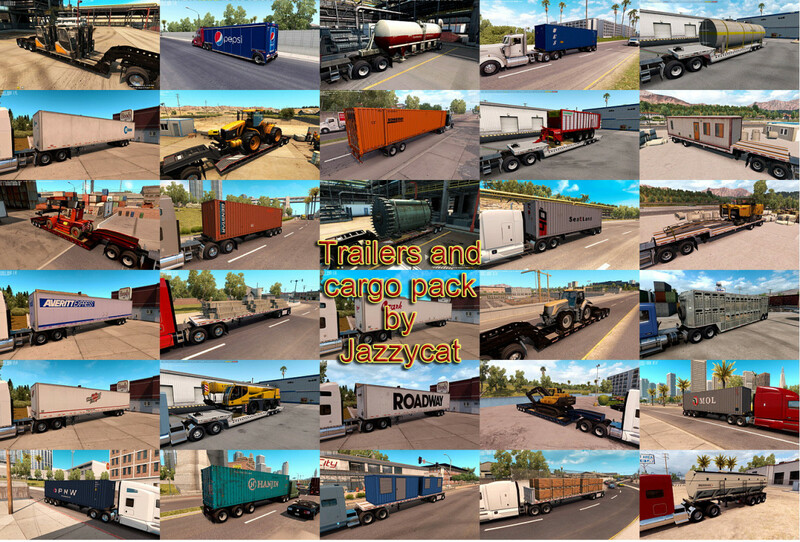 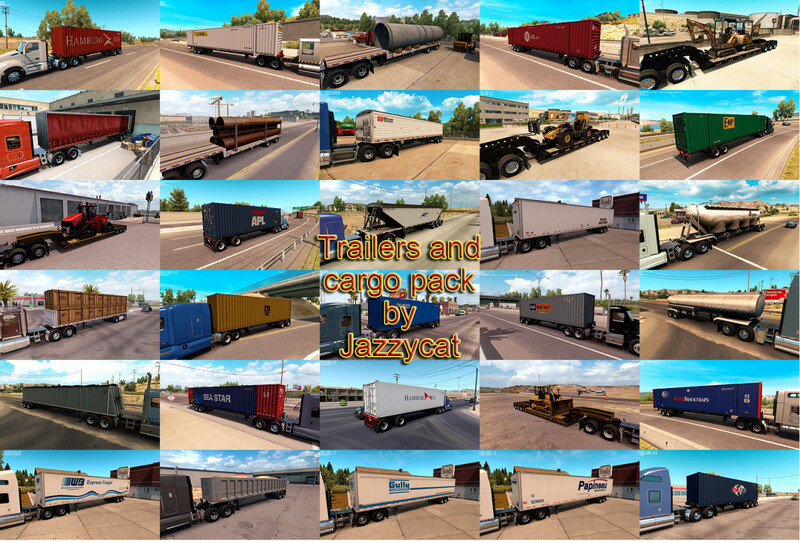 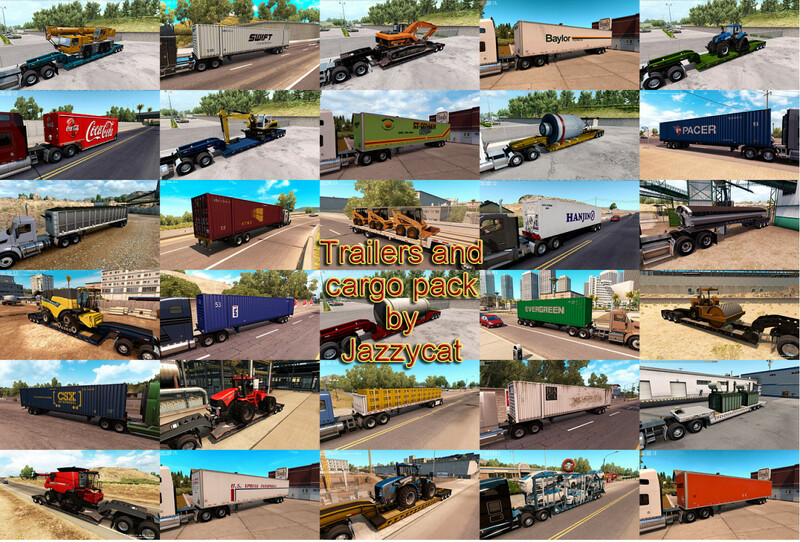 Pack adds in game 26 new trailers and 84 new cargo. 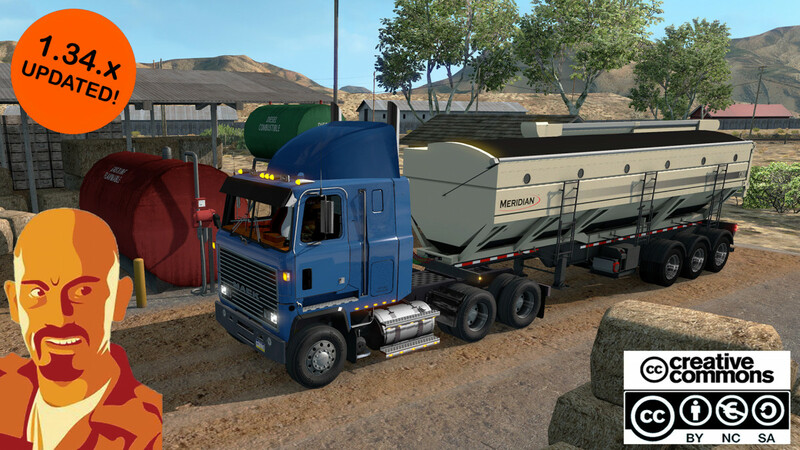 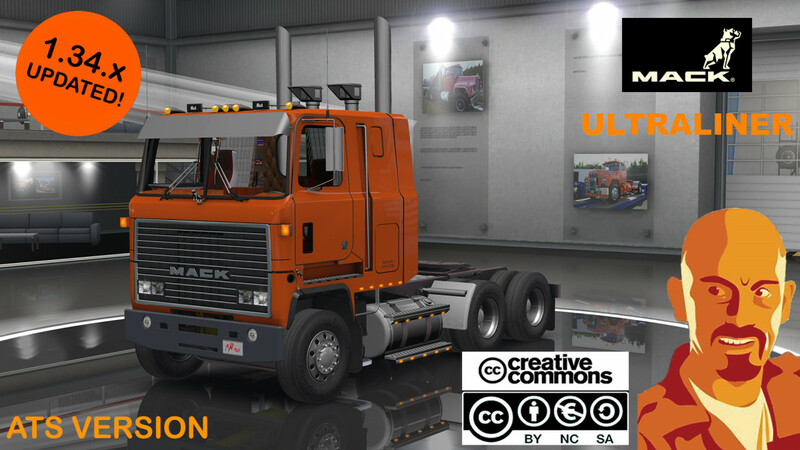 Version 2.3 – added new cargo for Fontaine Magnitude and Trail King HT: tractor Case IH Magnum 340, big tank, self-propelled beet harvester Grimme Maxtron 620, mower conditioner Krone BigM, concrete element, big generator. 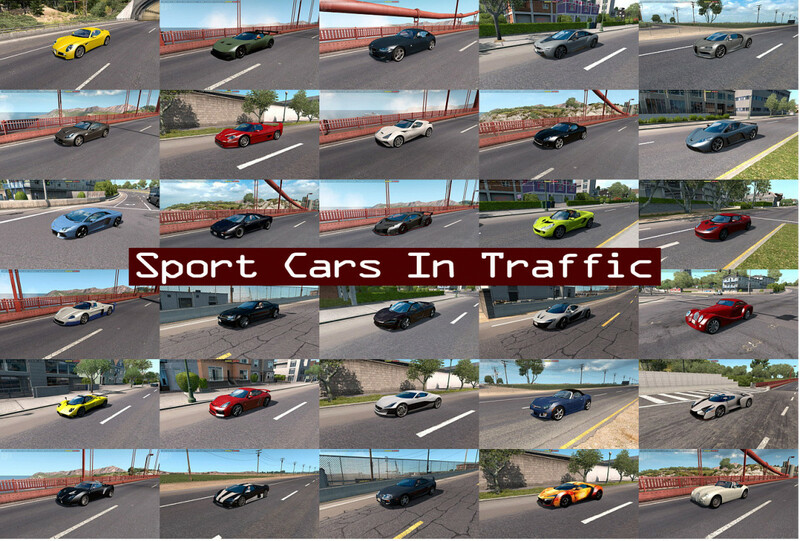 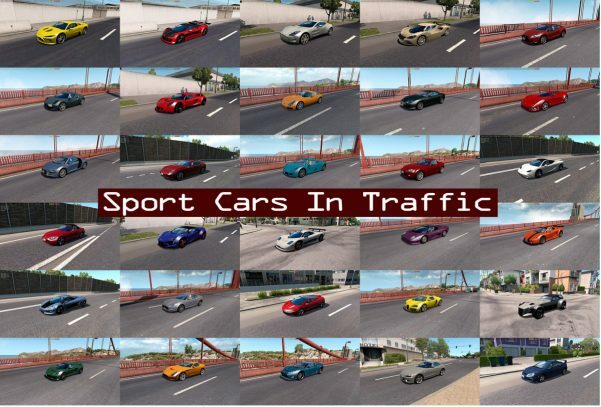 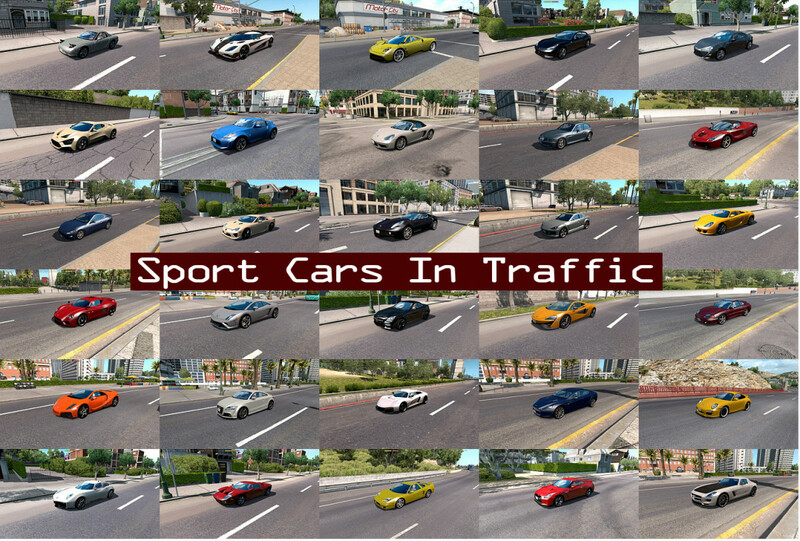 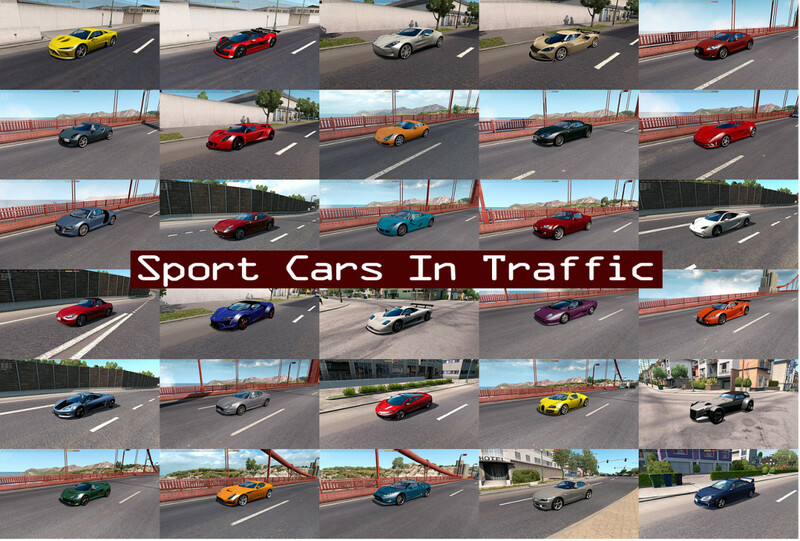 Version 3.5 – added Mercedes-Benz SLR McLaren Roadster, Toyota MR2 Spyder, Honda CR-X Del Sol.